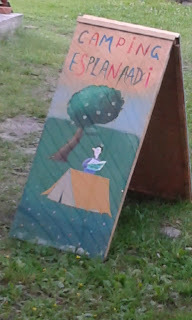 Small campsite between the centre of Pärnu and the beach district. 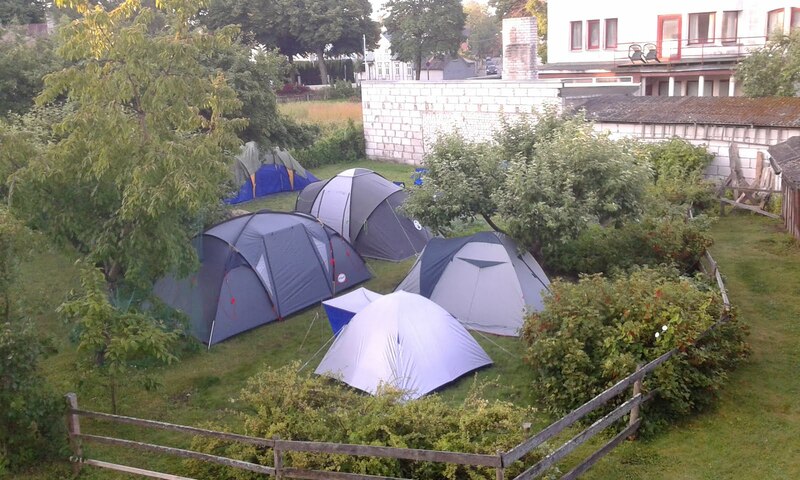 You pitch your tent in the city centre and feel as if you are in the countryside. It is very quiet, peaceful and safe here. It is perfect for hikers, backpackers and cyclists. The campsite is perfectly located between the city centre and the beach. The wonderful Pärnu beach is only 5 minute walk. The city centre is also 5 minute walk but just in the opposite direction. Everything is within the walking distance: beach, city centre, supermarkets, shopping centres, bus station, banks, cinema, museums, spas, cafes, restaurants, bars, night clubs, bicycle rent etc. The site is quite small and it is in the yard of a private house. There is a toilet, a shower with hot water and a kitchenette equiped with the small fridge, gas cooker, electric kettle and a microwave as well as a sink. If you arrive by car, you can park your car in the street, in front of the house for free. There is no reception. Just get in, pitch your tent and feel yourself at home. The campsite owner will come up to you later and then you will pay. Only cash is accepted. Very good information in simplest way any body can easy understand.